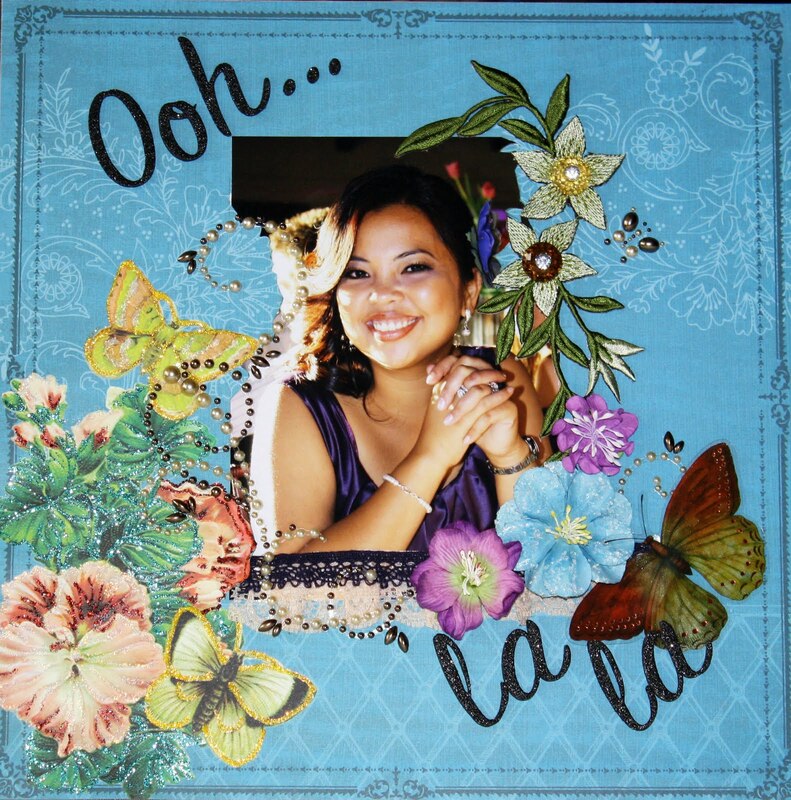 The designer paper used is from DCWV's, Ciao Bella Paper Stack. I used an Xacto knife to cut the images on the page that would eitherwise be covered, and lifted it up and tucked the photo behind it. 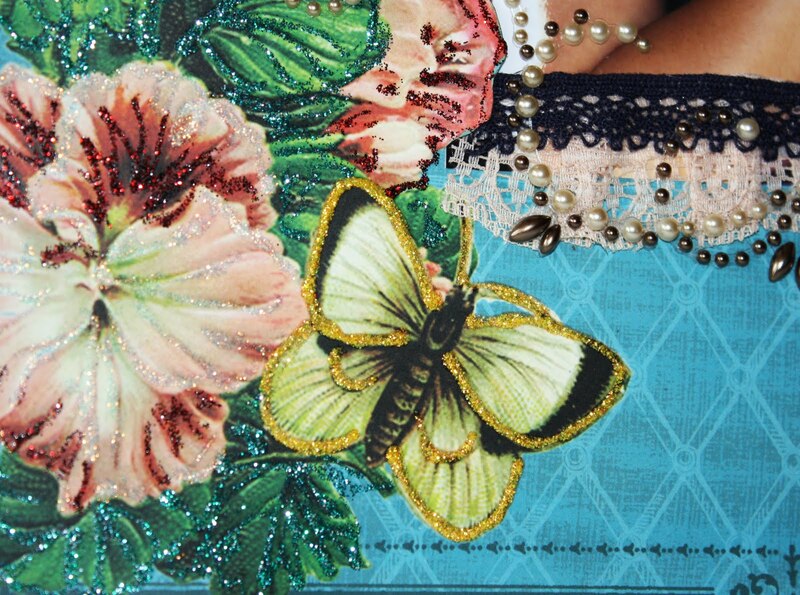 I used a cream lace and used it as a border on the bottom of the photo. Then I lined the top portion of the cream lace with a navy blue lace. Prima Flowers were placed to cover a portion of the lace and bottom right corver of the photo. 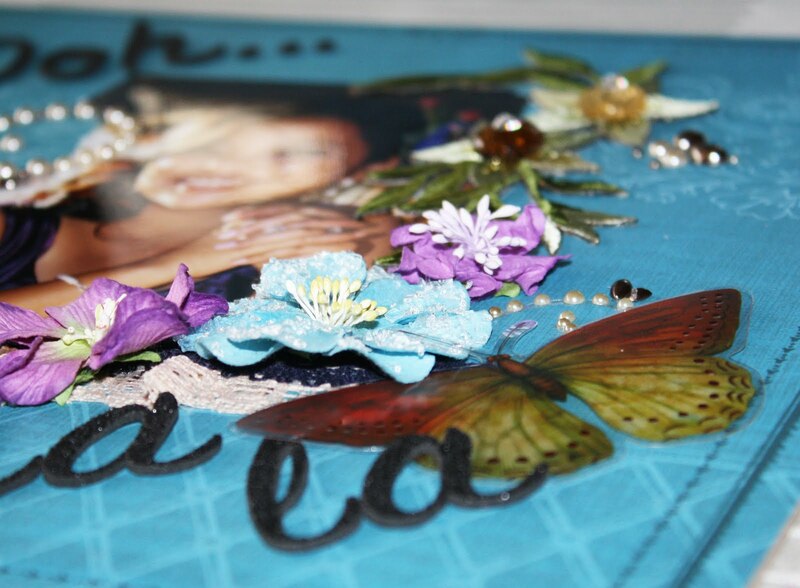 A Tim Coffey acetate Butterfly was then tucked just slightly underneath the flowers. 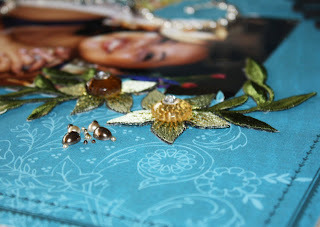 The Green Flower Vine Applique was then placed on the top right corner of the photo. 2 Button Sparklers by Webster's Pages, was placed on top of the flowers. The Paper Images were traced over with yellow, green, red, and clear Sickles. 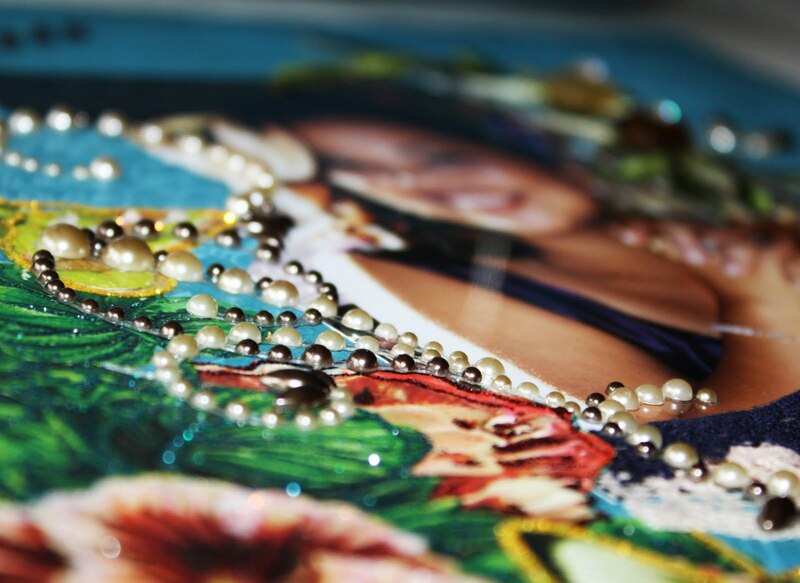 Pearl Swirls by Prima Marketing were placed randomly throughout the layout. 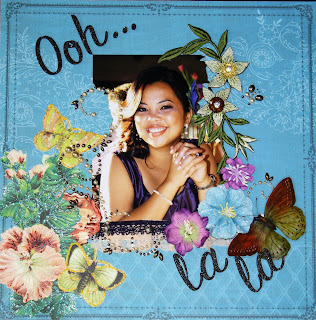 Thickers Word Stickers were used for the "Ooh La La" title.